Shine your brightest throughout your life and share with others the gift of Reiki at our Reiki workshop on 10th March. This Reiki attunement day is an incredible way to deepen your yoga, meditation and healing knowledge. Reiki is a Japanese healing technique of stress reduction, deep relaxation that also promotes healing. It is a fully clothed light touch method that works with the body’s energy systems including the aura, the chakras, and the meridians. Reiki strengthens the body’s energy systems by unblocking stuck or stagnant energy which will increase the natural flow of energy throughout the body, bringing it into balance. Reiki is “spiritually guided Ki or life force energy”. “Rei” means universal higher power, spiritual guidance, pure love. “Ki” means vital or life force energy. Reiki works by accessing the highest vibration in the Universe; the energy of love. During this workshop you will learn how to be a Reiki healer, connecting with the Universe, harnessing the highest form of loving and healing energy. We will study the Chakra’s in depth, the first symbol of Reiki the Co Ku Rei to learn how to switch on this amazing healing technique. We will learn the hand positions and how to give a full self-treatment for your 21 days of cleansing after your attunement. You will also learn how to provide a full Reiki treatment to other people, how to be a Reiki therapist, how to give Reiki to animals, food, and plants. Moving it through your body, you act as the channel, and out through the palms of the hands shine reiki out. The receiver then takes the Reiki energy that is being offered through the practitioner and accepts it into the body where it will automatically move throughout the receiver’s body, impacting the body’s energy systems, which will in turn affect the body’s physical systems and provide healing. 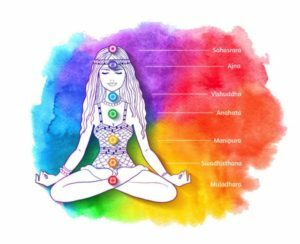 You will be guided through a powerful Chakra Meditation and then given your first degree Reiki attunement, which is a truly amazing experience. The Reiki energy is transferred from the Universe through the practitioner through the process called an attunement, which opens the chakras and allows the energy to flow through the body to the palms of the hands – natural healing centers of the body. It’s an incredible energy that we can all access and is life-changing. These principles are very important as once you understand that life force flows through everything and everyone, you realise that our actions — no matter how small — carry consequences that affect and change the universe. When we see how our behaviour affects the world around us, it inspires us to become better people and focus on self-healing. Promotion of relaxation and patience for clarity and inner peace. The more you practice Reiki healing, the faster you will heal and the more powerful your energy flow will become. Emma has 20 yrs of extensive personal Reiki knowledge which is very passionate about sharing to all. You will be given great informative handouts, and a beautiful Crystal to take home with you. For further information on this upcoming workshop please contact us. We found a fantastic article in Vogue.com about the crystals of 2018. Read more here.